The 31st (Huntingdonshire) Regiment was raised in 1702, as Colonel Villiers' Regiment of Foot. It was numbered 31st in 1751, to which Huntingdonshire was added in 1782. In June 1847, the regiment was granted permission to bear on its Colours the word Orthes in commemoration of the distinguished conduct of the 2nd Battalion 31st Foot on 27 February 1814. On 1 July 1881, the 31st (Huntingdonshire) Regiment merged with the 70th (Surrey) Regiment, to become The East Surrey Regiment. On 14 October 1959, this amalgamated with the Queen's Royal Regiment (West Surrey), to form the Queen's Royal Surrey Regiment. 1 Oct 1808 The 1st/31st arrived at Malta and replaced The 1st/44th Foot which embarked on the second Egyptian Expedition. 1 Sep Strength 8 Coys: 33 Commissioned and Warrant Officers, 53 NCOs, 601 rank and file fit for duty, 47 rank and file sick, 734 total officers and men. 1 Dec 1808 Strengths: 33 Commissioned and Warrant Officers, 76 NCOs, 632 rank and file fit for duty, 119 rank and file sick, 877 total officers and men, 1126 establishment. 25 June 1810 Field officers present: 3; Captains present: 7; Subalterns present: 15; Rank and File (Effective): 702; Rank and File (Establishment): 808; On passage: 20. Aug 1810 The 1st/31st reinforced Lt Gen Sir John Stuart's Army in Sicily which prepared to oppose the crossing of the Straits of Messina by General Murat. The French invasion of Sicily started on 17 Sept 1810, but was aborted as it received little support. The 1st/31st was replaced in Malta by The 2nd/10th Regiment of Foot. 16 Apr 1811 A detachment of 200 men arrived from Sicily without their Flank Battalion. July–Aug 1811 The 1st/31st (Huntingdonshire) Regiment embarked from Malta. 18 Feb 1816 A detachment of the 1st/31st arrived from Genoa. It was quartered at Floriana Barracks. 18 Dec 1816 Eliza Fearon wife of Maj Fearon 31st Regiment died 18 Dec 1816, aged 36 years. (Military and Civil Cemetery Floriana). 1817 Strength: 967 men located at Floriana Barracks. 3 June 1818 The 1st/31st (Huntingdonshire) Regiment embarked for England. A detachment remained in Malta till 25 November 1819. 15 June 1856 The 1st/31st (Huntingdonshire) Regiment arrived from the Crimea. It had 793 men located at Fort Chambray Gozo. July–Aug 1856 The troops were badly affected with ophthalmia. 16 Feb Pte John Wood 31st Regiment. 25 Oct Pte John Howell 31st Regiment buried at Fort Chambray Gozo. 26 Oct Pte Edward Thornton 31st Regiment buried at Fort Chambray Gozo. 27 Oct Pte George Cutler 31st Regiment buried at Fort Chambray Gozo. 11 Nov 1856 In the Collegiate Church of St Paul's Valletta, Bachelor Sgt George Rowe son of John and Anne Rowe of Nottingham married Catharine Rossiter of Dublin, a widow. 1857 788 men were at Gozo where they formed part of 3rd Infantry Brigade. Apr 1857 The 1st/31st (Huntingdonshire) Regiment embarked for Gibraltar. 4 Mar Maria Jury, daughter of Mary and Cpl George Jury was baptised by the Rev Dudley Somerville Assistant Chaplain of the Cottonera District. 15 Mar Mary Anne Smith, daughter of Mary and CSgt John Smith. 7 Apr 1857 Lt Charles Edward Jeffcock 31st Regiment aged 24 years was buried at Floriana on 7 April 1857. 22 June 1867 352 men of the 1st/31st arrived in Malta from Templemore Tipperary, Ireland and relieved the 1st/60th Regiment of Foot. In 1867, the regiment had an average strength of 352 men. There were 280 hospital admissions (821.0 admissions per 1000 of mean strength) with 11 deaths in hospital and 1 out of hospital (34.09 deaths per 1000 of mean strength). Continued fevers prevailed to a great extent from June to September. The 1st/31st Regiment had 82 cases of continued fever with 3 deaths. The 1st/31st Regiment was quartered at Isola Gate Barracks, Polverista and San Francesco de Paola Barracks. The average annual strength in 1868 was 729 men. There were 467 admissions into hospital (641/1000 mean strength); 7 died in hospital and 1 out of hospital (10.97/1000 mean strength). The 31st occupied Isola Gate and Polverista Gate Barracks. From June to September, the regiment had 38 admissions for continued fevers, with 3 deaths. Pembroke Camp 487 11 2.25 Five Companies on detachment from 1 Jan to 22 April. HQ and the Company at Marsamxetto marched to Pembroke Camp on 22 April, where the whole regiment was stationed until 24 September, when it moved into Lower St Elmo Barracks. Marsamxetto 60 2 3.33 One Company from 1 Jan to 22 April. The Company marched to Pembroke Camp on 22 April, where the whole regiment was stationed until 24 Sep, when it moved into Lower St Elmo Barracks. Table 1: Barracks occupied by 1st/31st showing the average strength, number of hospital admissions from fever, and the percentage of sick soldiers during the period each barrack was occupied. The ventilation of barrack rooms was poor and blamed for much of the sickness. Bathing parades took place three times a week during the summer months. They were discontinued on 17 October when the weather turned cold. The great majority of the troops bathed daily at their own discretion in an attempt to preserve personal cleanliness. The men of Head Quarters Coy quartered at Fort Manoel continued to bathe from 1 Jan 1869 up to the time of their removal to Pembroke Camp. The regimental surgeon had considered it advisable that bathing parades should take place twice in the week, as long as the men remained at Fort Manoel, where no baths were fitted for the men to cleanse themselves. Fort Lower St Elmo was situated at the lower end of Valletta. The fort consisted of a long building running nearly north-east and south-west. The barrack square of Lower St Elmo was only four feet above sea level. The fort was overshadowed by Fort Upper St Elmo which cut off the ventilation and was much maligned for causing sickness in the lower fort. The barrack rooms consisted of a basement with two other storeys above it. A corridor ran along the length of the upper two storeys. Each room had a large window facing the Barrack Square, but the other end was formed by the fortifications, and the side walls separating one room from those on either side had neither windows nor doors. Staff Assistant Surgeon James Hector described them as mere excavations in the casemates of the fortifications. There were four ablution rooms, one situated at each end of each corridor which contained sixty basins fixed in slate frames. These were supplied with water and wash pipes to carry away the dirty water. The drains from the latrines opened into the sea close to the barracks. The basement had store rooms, recreation rooms, library, school rooms, canteen, cookhouse, a sergeant's mess, and a room used as an extra guard room. On the left side of the barracks were the stables with the officer's quarters above them, further to the left lay the latrines and urinals. At this end of the Barrack Square was a building with 8 baths for washing. Nearby were the tailors and shoemakers shops. The guard rooms were small and poorly ventilated, as were the prisons in the Regimental Quarter Guard Room at St Gregory's Gate. Married soldiers stationed at Lower St Elmo shared the Camerata with families of the Royal Artillery. The building was in the lower div of Merchant's Street Valletta, directly opposite the gate of the Garrison Hospital. It had 317 families, of which 65 families belonged to the 31st Foot. The Camerata consisted of a basement, with four storeys above it. The building formed three sides of a square, with the two side wings continuous with Maltese houses in Strada Ospidale on one side, and Strada Tramontana and Inglese on the other. It had a small square used for drying clothes. A veranda ran round the back of each storey from which the rooms opened. The accommodation for each family consisted of two similarly sized rooms, a small room half the breath of the front room, used as a sort of scullery, and a small room for a small water closet. One of the rooms in the basement was converted into a regimental canteen. The water supply for the Camerata was derived from tanks situated under the building. Residents had to pump water from these tanks, a pump being provided for every second landing. Food was cooked on small earthenware stoves (Kenun stoves). 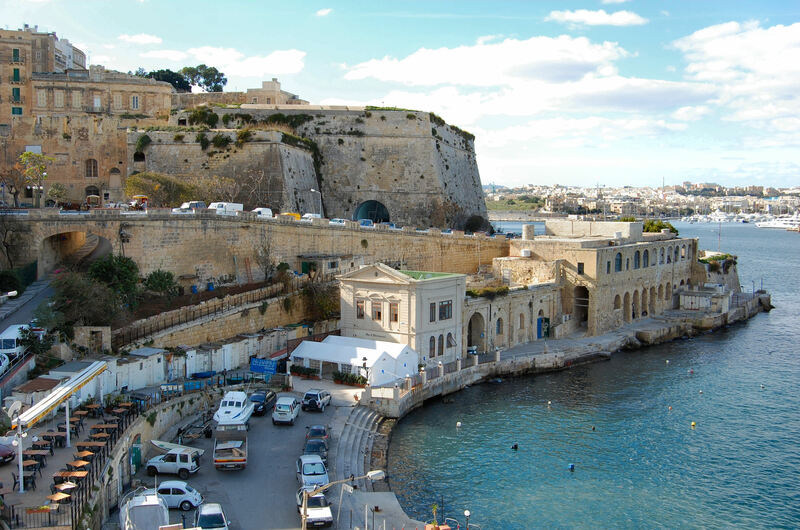 Fort Manoel in Marsamxetto Harbour. The fort was designed by Chev De Tigne and built during the Grand Mastership of Don Antonio Manoel de Vilhena (1722-36). The regimental hospital of The 31st Foot was opened at The Forrest Hospital St Julians when the regiment was at Pembroke Camp. A regimental hospital opened at the Garrison Hospital Valletta when the battalion was at Lower St Elmo Barracks. The wards in the Garrison Hospital consisted of one large ward (No 31) with two recesses, Wards 31A and 31B, which opened off ward No 31. In addition a small room between them was used as an orderlies room. The Army Hospital Corps, acting under the Purveyor's Department cooked all the meals for patients in the regimental hospitals. The average annual strength in 1869 was 694 men. There were 363 admissions into hospital; 1 died in hospital; 1 died out of hospital; 1 death among the invalids. The ratio per 1000 strength of those admitted was 365.1 and for deaths 3.01. 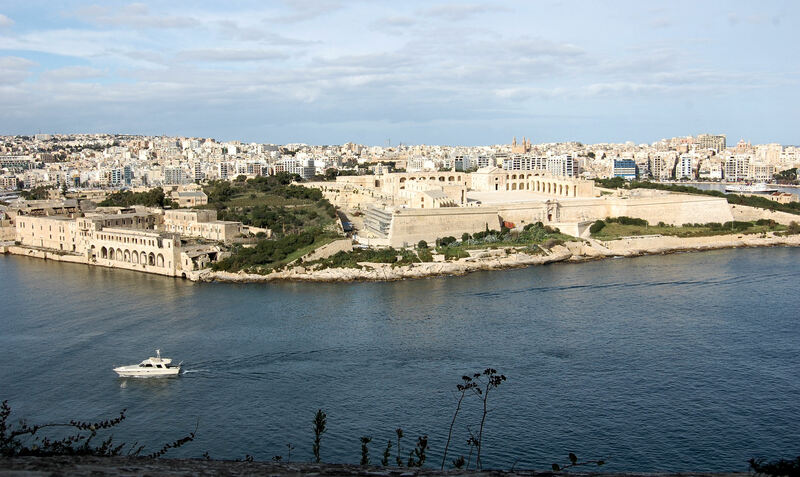 The average number of sick in hospitals was: 19.50 patients in Wards 1 to 9 at Forrest Hospital, 11.62 patients in Ward 20A of the Garrison Hospital Valletta, and 14.22 patients in Wards 31 (29 beds), 31A (2 beds) and 31B (5 beds), and in the Recesses (7 beds) of the Garrison Hospital. The total admissions into hospital during the year was 372, of which 363 were NCO and men. The percentage of sick during the year was 53.60. The average number of daily sick was: Officers 0.62, NCO 18.08, Women 1.63, Children 4.40. The average number constantly sick per 1000 Strength was 25.93. 5 May Pte McCaffrey James, aged 33 years, was found drowned. His body was recovered some considerable time after his death, and his exact date of death remained unknown. 4 Nov On 29 October No 1116 Pte McKernan Patrick, aged 22 years, fell 14 feet over a bastion while on sentry duty near Porta Reale. He was bleeding so profusely from his tongue that his left Common Carotid artery was ligated in an attempt to stop the bleeding. McKernan survived for 6 days after his operation, but bleeding recommenced, and he died on 4 November. He had been with his regiment for just four years. Lower St Elmo 528 30 5.68 Whole regiment from 1 Jan to 1 June, when a detachment of one company proceeded to Fort Manoel. 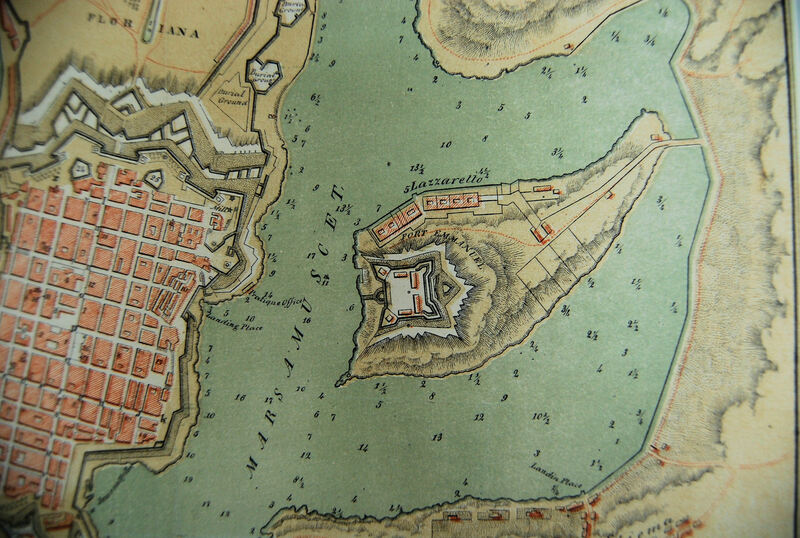 On 4 Oct the regiment marched from Lower St Elmo and Fort Manoel to Fort Verdala Barracks. Table 3: Barracks occupied by 1st/31st showing the average strength, number of hospital admissions from fever, and the percentage of sick soldiers during the period each barrack was occupied. 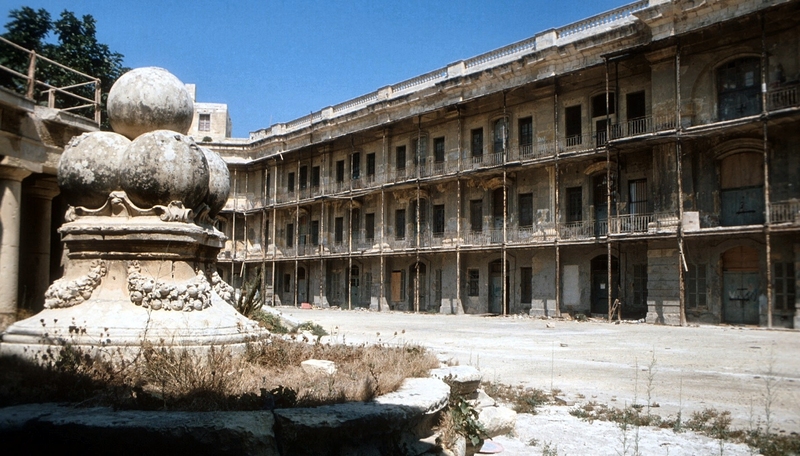 From 1 January to 4 October 1870, No 31 Ward in the Garrison Hospital Valletta was occupied by the 31st Regiment as their regimental hospital. The ward was ventilated by opposite windows and louvres, and was warmed by a large stove. Wards No 31A and 32B were recesses off Ward No 31. Upper Vittoriosa Hospital (Armeria) was about half a mile from Verdala Barracks. Wards No 4 and 14 were the only wards considered suitable accommodation for the sick at this hospital. No improvements were made to Upper Vittoriosa Hospital while building was in progress on the new hospital near Zabbar Gate. The hospital was supplied with rain water stored in tanks. Food for the patients was cooked by men of the Army Hospital Corps. The average strength of women in the regiment from 1 January to 31 December 1870 was 71.29; 17 were admitted to hospital, none died. There was an average strength of 83.86 children; 34 children were admitted into hospital, 11 died. Deaths were from: 1 Diphtheria, 1 Scrofula, 3 Atrophy, 4 Infantile Convulsions, 1 Diarrhoea, and 1 Ascites. There were 675 NCOs and men in the regiment, eight died during the year. Tents were provided for the men to sleep under at Lower Fort St Elmo Barracks. 5 Mar No 1289 Pte James Gordon, aged 25 years died in the Garrison Hospital Valletta from Phthisis Pulmonalis. He had been left in Malta on his corps proceeding to India. 6 Mar No 1340 Pte Samuel Lemar aged 21 years died in the regimental hospital from jaundice. Lemar was a bandsman who had served with the regiment for only 2 years. He had been quartered in Lower St Elmo Barracks. He reported sick on 3 Mar 1870, complaining of "great depression of spirits, lassitude, loss of appetite, pain over his liver, and yellowness of both eyes". 6 June No 534 Pte George Granvell, aged 32 years, died from apoplexy and hemiplegia. He had served for 12 years. He was a brick maker quartered at Lower St Elmo Barracks. He was admitted to the regimental hospital Valletta on 28 May complaining of a severe pain in the neck extending up the back of his head. On 3 June he had a fit which left him with a complete hemiplegia on his left side. He was unable to speak or swallow. His head was shaved, a blister applied to the nape of his neck, mustard plasters to his feet, and ice constantly wrapped around his head. He remained comatosed and died on 6 June 1870. 10 Sep No 3969 Pte Patrick Henny, aged 36 years drowned while bathing in the rear of Lower St Elmo Barracks. He had served for 13 years. 23 Sep No 545 Pte John Morgan, aged 38 years died in the regimental hospital from a depressed fractured of the skull. He fell from a height of 9 feet into the urinal in the barrack yard at Lower St Elmo when under the influence of liquor. His head hit the upright fixed slate and he sustained a compound comminuted fracture of the right side of his skull. He had served for 13 years. 28 Sep No 916 Pte Alfred Tuggle, aged 26 years died in the regimental hospital from typhus fever. He had served for 7 years of which 3 and a half years were in Malta. Tuggle was a bandsman quartered at Lower St Elmo Barracks. He was admitted on 12 September with pains in his back and head, fever and jaundice. He became delirious, with a temperature of 104 F (40 C), and died on 28 September. 12 Oct No 3543 Pte John Sweeny, aged 36 years died in the regimental hospital from hypertrophy of his heart. He had served for 17 years, of which 3 yrs 4 months were in Malta. He was admitted with palpitations and breathlessness and died suddenly while walking in the ward to his bed. 8 Dec No 1289 Pte Charles Overhill, aged 22 years died at Forrest Hospital from Phthisis Pulmonalis. The regiment had an average strength of 683 men. There were 352 admissions into hospital (515/1000 mean strength), with 7 deaths in hospital (10.24/1000 mean strength). 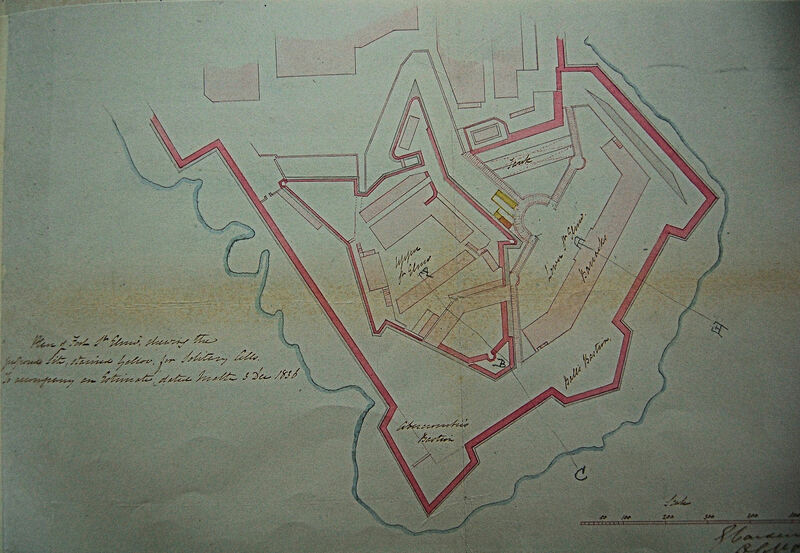 The 1st/31st was located at Fort Ricasoli and Fort Verdala Barracks. In 1872, the 31st had an average strength of 132 men. It had 42 admissions (318/1000 mean strength) into hospital with 2 deaths in hospital (15.15/1000 mean strength). The men were quartered at Fort Verdala Barracks and St Clement's Bastion. 29 Feb 1872 The 1st/31st embarked for Gibraltar where it arrived on 5 March 1872. Cannon J., 1990, The Msida Bastion Cemetery Malta. Bucks Cannon Associates. TNA:WO 334/62. Army Medical Department Sick Returns and Reports, Infantry Regiments and Hospitals abroad (1 January 1869 – 31 July 1870). TNA:WO 334/77. Army Medical Department Sick Returns and Reports, Infantry Regiments and Hospitals abroad (1 January 1870 – 31 Dec 1870).